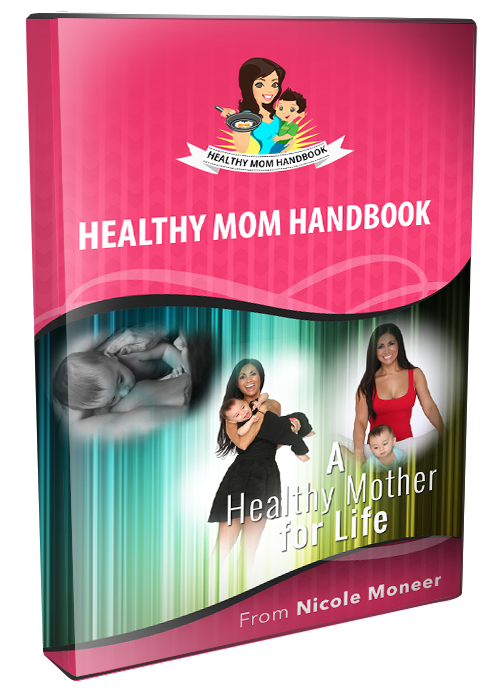 "The Healthy Mom Handbook is a resource that is a must read for all women. Nicole's candid writing style will keep you entertained and engaged, but her knowledgable discourse on nutrition, the birthing process, post-pregnancy recovery along with infant and self-care, is something every expectant or new mother will benefit from." Do you have a vision of your childbirth? Learn how to build a birth team that supports you in your pregnancy, childbirth and post-pregnancy goals. Be empowered by other women's birth stories. Are you excited for all the amazing changes you and your body are going to experience? 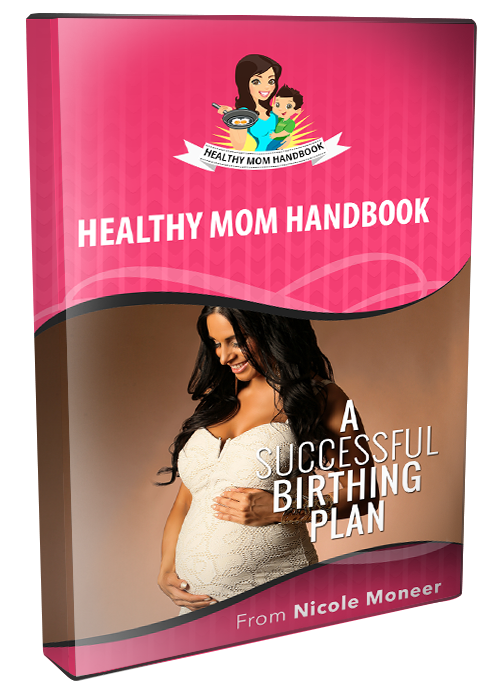 Learn about foods and exercises that have helped millions of women give birth safely and with ease for centuries. 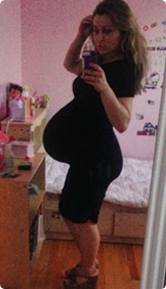 Overwhelmed by all the prenatal and post-pregnancy information on nutrition and exercise? Learn how good nutrition with the right exercises is the foundation for a comfortable pregnancy, a safer birth, the creation of a child with optimal health and a quicker, healthier post-pregnancy transformation. Do you have a weak core? Learn which exercises to avoid so that you can prevent abdominal wall splitting. Also, you’ll learn which exercises to add in to strengthen your pelvic floor muscles for a safer, easier birth experience. The right exercises along with consistent proper nutrition will help strengthen you from the inside out. Do you think you need to do hours of cardio to lose your baby weight? Are you short on time when it comes to working out? Learn how the right nutrition, along with Pilates and strength training, can positively impact your post-pregnancy transformation with only 3-4 thirty minute workouts a week. Nicole Moneer took matters into her own hands to change her life. She was born sick with an upper respiratory infection her first three weeks of life and later a fever at only 3 months of age. Born in the 1970's Nicole was not breastfed. Her sterile gut was doomed from day 1, which negatively affected her health for decades. After being chronically ill on prescription and over-the-counter drugs for close to 30 years, she was sick and tired of being sick. She suffered from allergies, asthma, reoccurring sinus infections, acne, adrenal issues, digestive disorders and chronic fatigue just to name a few. With proper consistent nutrition, workouts and supplements Nicole improved the quality of her life. She has been off all prescriptions and medicines for over 10 years. At age 41, Nicole had given up on the idea of having children. At age 41, she took her first pregnancy test, which showed positive. As she began to prepare for childbirth and motherhood Nicole knew she wanted to give her baby a better start at life than she had. Nicole knew she wanted a natural birth free of medical intervention with a birth team that supported her on this. 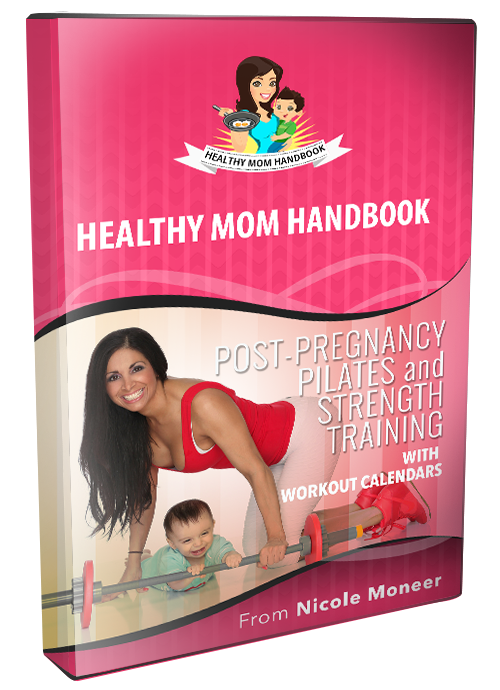 Nicole created the Healthy Mom Handbook as a holistic go-to guide to empower and educate women during preconception, pregnancy and post-pregnancy. 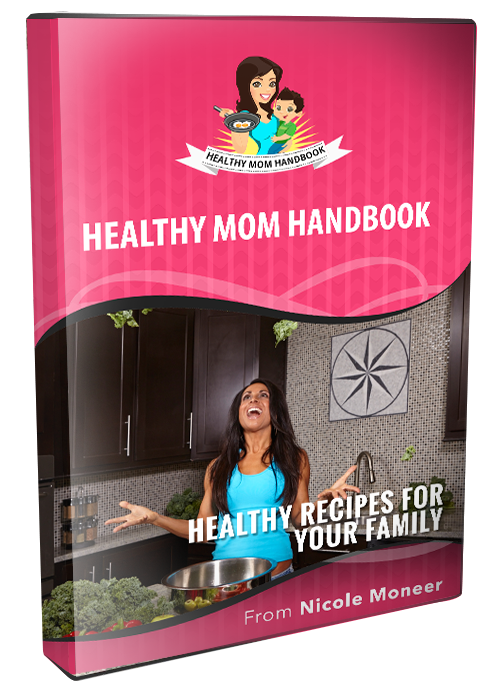 Be sure to read this program first as it will give you a complete overview of what to expect from the Healthy Mom Handbook program. When Nicole became pregnant there was nothing like this available to women. She is grateful that her dream of creating such a product to help millions of women and their families around the world has now come to fruition. Nicole Moneer, the creator of the Healthy Mom Handbook, shares her birth story and post-pregnancy journey, along with information on breastfeeding. She also discusses her health history and how she reversed decades of chronic disease with the right nutrition and supplementation and was able to conceive naturally at age 41. Her childbirth and post-pregnancy journey were unique like all moms but there are also many similarities that most moms and moms-to-be will be able to connect with and learn from, such as the planning, the struggles, the changes, the unexpected, the good and so much more. Women plan their weddings and baby showers but how many women plan childbirth? Childbirth is one experience that will affect you for the rest of your life. You are a customer with choices. Know what your birth plan options are so you can make the best decisions during the main event for you, your baby, and your family. Real food is king when it comes to nourishing your body and your baby's body. You will learn which foods are essential to get on your plate during preconception, pregnancy and post-pregnancy. Nicole also shares foods to avoid as well. Enjoy over 50+ healthy recipes for you and your entire family. As a mom you have the greatest influence on what you and your family eat. This program contains recipes that include foods to help with conception, a healthy pregnancy, an easier childbirth, breast milk supply, and post-pregnancy weight-loss. No experience in the kitchen required! Enjoy learning how to cook healthy meals with easy to follow directions. Our bodies are designed to move, even while pregnant. Many women overlook the importance of training their pelvic floor during pregnancy. This prenatal Pilates and strength training program will better prepare moms for the main event and allow for a quicker post-pregnancy recovery. 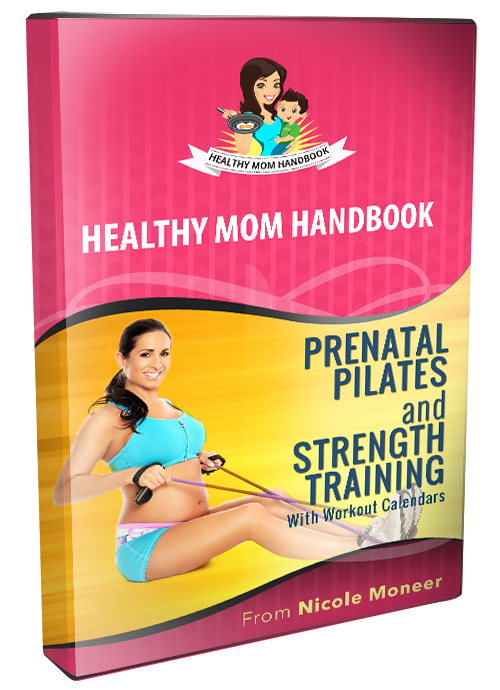 Detailed trimester-specific exercise videos and e-Book instructions are included. Every woman's post-pregnancy journey is so unique. No matter when you begin your journey, it is crucial that you follow a safe and effective exercise program following childbirth. A 12-week program of Pilates and strength training exercise videos along with e-Book instructions are included. Read testimonials of other moms and view their transformation pictures. 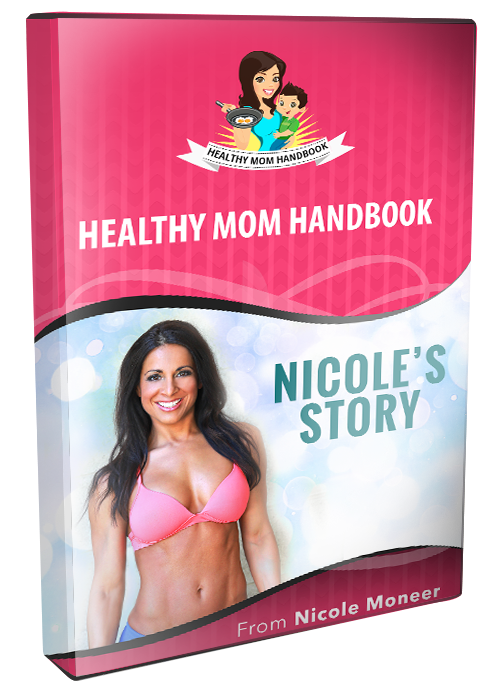 This is full of credible references that Nicole used in compiling information in the Healthy Mom Handbook. You’ll also receive a Kickoff Accountability Session with Nicole. She will speak with you on the phone and give you customized support and feedback on how to make the most of your Healthy Mom Handbook experience. I hired Nicole after my 3rd pregnancy during which I gained 50lbs. After two weeks on Nicole's meal plan, I was full of energy, I was slowly losing weight and most importantly my milk supply did not drop. I was only exercising 2-3x a week, too. As a working mother of 3, there were some weeks where I had no time to exercise. After 10 weeks of consistently eating a variety of approved foods and exercising I lost 24lbs! I learned so much from the Healthy Mom Handbook creator, Nicole on exercise, nutrition, hydration, rest, positive mindset and consistency. I only wish I would have had the information in the Healthy Mom Handbook available to me 10 years ago with my first child and before having three C-sections! Nicole provides the foundation for women to come into a more empowered place to make the decisions and choices that intuitively feel right for them. I have been blessed to have experienced two amazing natural home births with both of my sons, Kai weighing 6 pounds and Stone 9 pounds. During both, I was able to let my body do what it was naturally designed to do without pushy nurses or doctors and free of medical interventions. At 40 years old, I gave birth to my second son minus any complications. 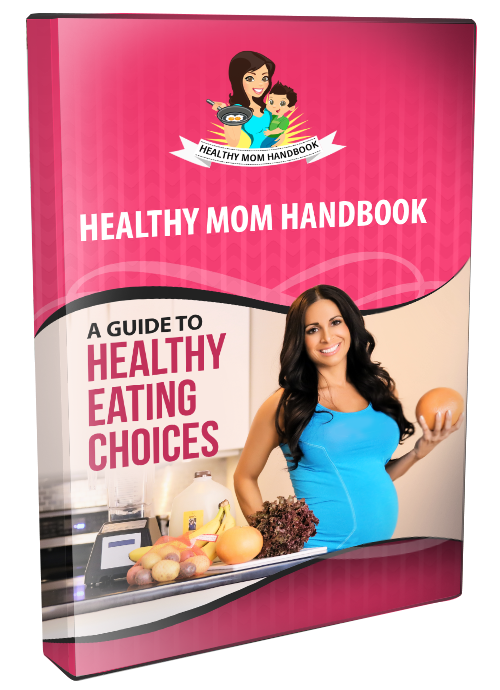 Nicole presents a wide variety of nutrient-dense superfoods and recipes in HMH, which helped me get through labor and delivery safely. I am grateful for Nicole to give nuggets of amazing "mom-wisdom" and a well-rounded program. Empowered, healthy and happy! I started working with Nicole when my 3rd son was 9 months of age. Nicole recommended a variety of foods to add to our menu. I cook the same foods for my entire family. My youngest is almost 2 years old now and has the most well rounded diet of all 3, since it's all he's ever known. My children continue to thrive at the dinner table and my youngest son actually prefers the super foods Nicole prescribed over sugary treats. Thanks to Nicole my knowledge of real food and living a healthy lifestyle has grown and improved. I have always considered myself healthy and in good shape. 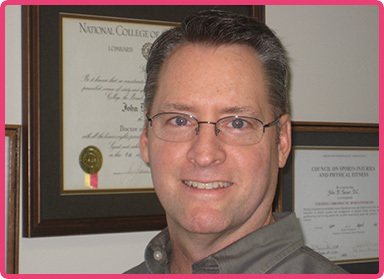 However, I suffered with hypothyroidism, was always tired, and had been struggling with weight gain. Nicole first came into my life right after I moved to the US as my personal trainer. Nicole is a great teacher, an amazing friend, and a health coach I can rely on. She gives clear, direct advice entrenched in personal stories. She is relatable and approachable. Nicole has changed my life in 5 months, two years after having my second child. Beyond the physical, she has empowered me to live my life vibrantly, naturally, and confidently. In the first 5 months of working with her and following her plan of healthy eating, along with strength training and mind/body workouts, I lost 6 inches at my waist, 4 inches at my hips and a total of 10lbs.